Eliminating grain carbs is one of the best and easiest ways to normalize your weight and support your health, but when you cut down on non-vegetable carbs, you need to increase your intake of healthy fats. Avocados are an excellent source. They’re especially rich in heart-healthy monounsaturated fat that is easily burned for energy, which you need more of once you start to remove those carbs. Improved weight management is in fact one of the health benefits of avocado consumption, according to recent research, and its high-fat, low-sugar content is part and parcel of this effect. On most days, I will add a whole avocado to my salad, which I eat for lunch. This increases my healthy fat and calorie intake without seriously increasing my protein or carbohydrate intake. Since avocados are also high in potassium, they will also help balance your vitally important potassium to sodium ratio. “For their study, the researchers wanted to see how avocado consumption impacted a person’s satiety, blood sugar and insulin response, and food consumption following a meal. Over the next five hours, the participants were asked to rate their appetite using a visual analog scale. Blood glucose and insulin were also measured before lunch and at specific intervals over three hours following their meal. Those in the latter group, who ate half an avocado with their standard lunch, reported being 40 percent less hungry three hours after their meal, and 28 percent less hungry at the five-hour mark, compared to those who did not eat avocado for lunch. They also reported feeling 26 percent more satiated after their meal compared to those who didn’t eat avocado. This is not very surprising when you consider that frequent hunger is oftentimes a major clue that you’re not eating correctly. As a general rule, most people likely need upwards of 50-85 percent healthy fat in their diet, along with high amounts of vegetable carbs, moderate-to-low amounts of high-quality protein, and very little, if any, non-vegetable or grain carbs. The featured study also found that even though the addition of half an avocado increased the participants’ calorie intake, it did not cause an increase in blood sugar levels, beyond what was observed in those eating the standard lunch. This is one of the major benefits of replacing non-vegetable carbs with healthy fats of all kinds, as fats in general do not negatively affect your blood sugar and insulin levels. Previous research also suggests avocado may be among the healthiest foods you can eat to protect your heart and cardiovascular health. One such study, published in November, 2012,4 found that eating one-half of a fresh medium Hass avocado with a hamburger (made with 90 percent lean beef) significantly inhibited the production of the inflammatory compound Interleukin-6 (IL-6), compared to eating a burger without fresh avocado. Also, just like avocado does not raise your blood sugar levels, fresh avocado did not increase triglyceride levels beyond what was observed when eating the burger alone, despite the avocado supplying extra fat and calories. 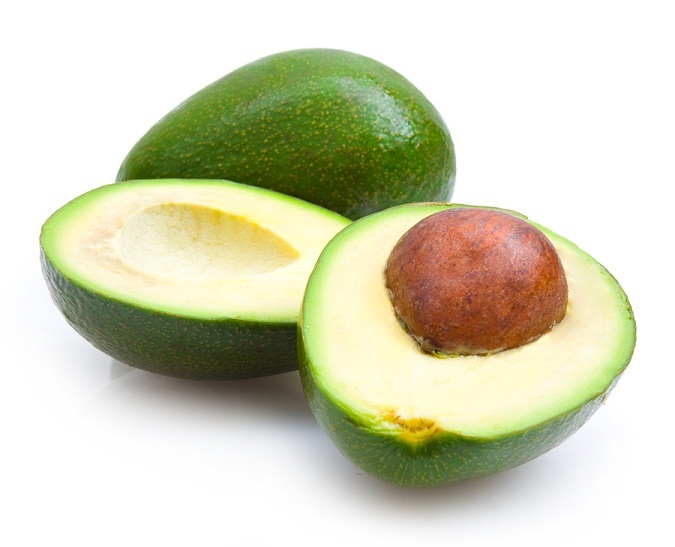 According to lead author David Heber, MD, PhD, the findings offer “promising clues” about avocado’s ability to benefit vascular function and heart health. Researchers have also concluded that avocado can help improve lipid profiles in both healthy individuals and those with mild hypercholesterolemia (elevated cholesterol levels). In one such study,5 healthy individuals saw a 16 percent decrease of serum total cholesterol level following a one-week long diet high in monounsaturated fat from avocados. In those with elevated cholesterol levels, the avocado diet resulted in a 17 percent decrease of serum total cholesterol, and a 22 percent decrease of both LDL-cholesterol and triglycerides, along with an 11 percent increase of the so-called “good” HDL cholesterol. Due to its beneficial raw fat content, avocado also enables your body to more efficiently absorb fat-soluble nutrients (such as alpha- and beta-carotene, and lutein) from any other food eaten in conjunction with it. One 2005 study, found that adding avocado to salad allowed the volunteers to absorb three to five times more carotenoids antioxidant molecules, which help protect your body against free radical damage! Dave Kekich is one of my good friends and he recently told me about an exciting phytonutrient called mannaheptulose, found in UNRIPENED avocados. It seems to have many benefits that are ascribed to calorie restriction, but also seems to be really useful for increasing strength and endurance. What I really like about it is that it’s not a supplement. What I have recently started doing is cutting up an unripe avocado into about 20 parts and freezing them. Then once a day I take out a piece and chew it. Avocados are also one of the safest fruits in terms of chemical contamination, which means there’s virtually no need to spend extra money on organic varieties. I even sent out more than six dozen samples of organic and conventionally-grown avocados for independent toxicology testing, and the results showed no detectable presence of herbicides or phenoxy herbicides in or on either variety . The avocados I sent in were from a variety of growers in different countries, sold in several major grocery stores, including Whole Foods, and they all tested free and clear of harmful chemicals. Moreover, should they have been exposed to some form pesticide, the thick skin will protect the inner fruit of the avocado from the chemicals. Either way, the extremely low risk of toxic contamination makes avocados a clear winner, and I strongly recommend making them a key part of your diet. All in all, avocado may be one of the most beneficial superfoods out there, and may be particularly valuable if you’re struggling with insulin and leptin resistance, diabetes, or any other risk factors for heart disease. Tagged avacado, fat, weight loss. Bookmark the permalink.